Ooo, and matching cowls too to keep those little wintry necks snug. 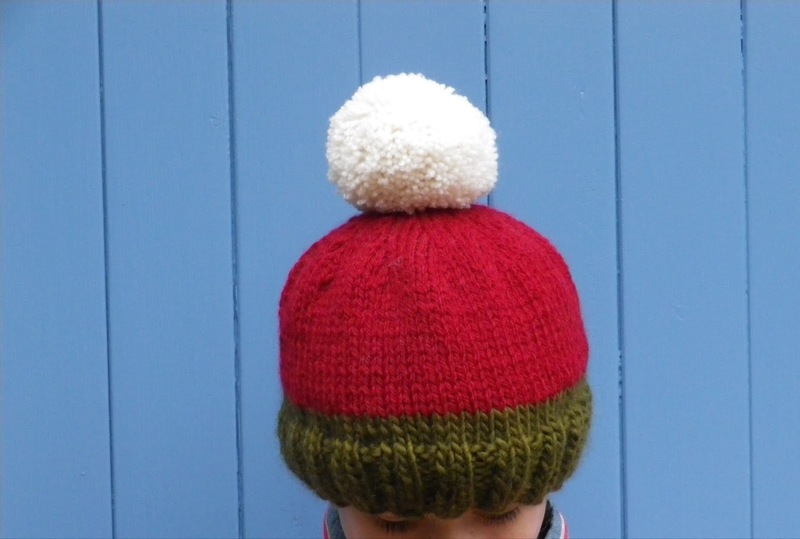 The pattern for the hats is the Chili Pepper hat from Spud & Chloe with added pom-pom. Of course. 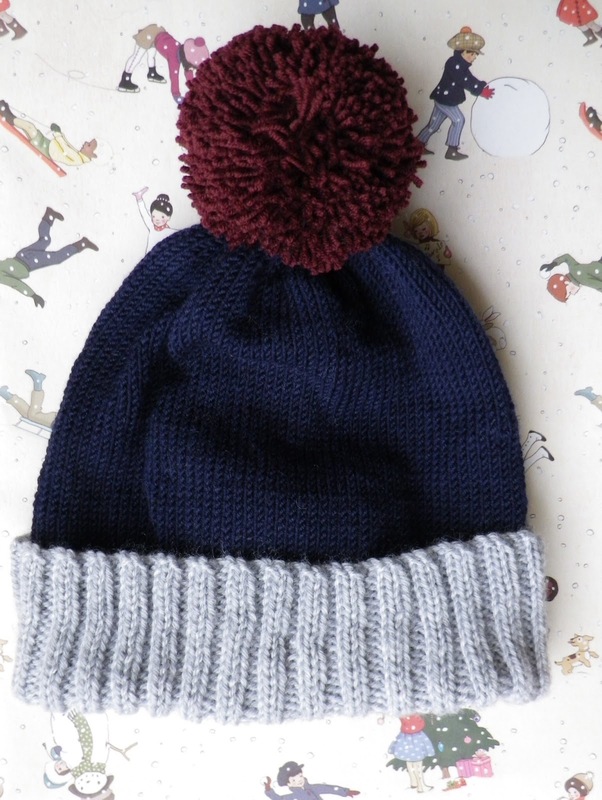 The navy hat is knitted in the oh-so-soft Millamia dreamy wool, using midnight and claret. The grey was from the wool basket, left over from making these Minion goggles, a still surprise to me snug James C Brett DK. The blue hat used up the rest of the grey, and also the leftovers from making Minion dungarees, and yet more lovely Millamia in scarlet. 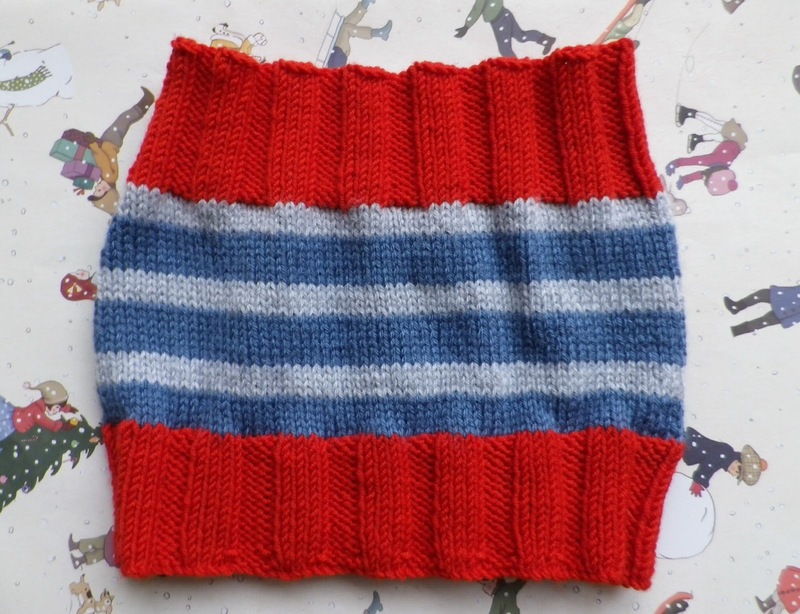 The pattern for the cowls is the Uno Cowl from Millamia's Bright Young Things. 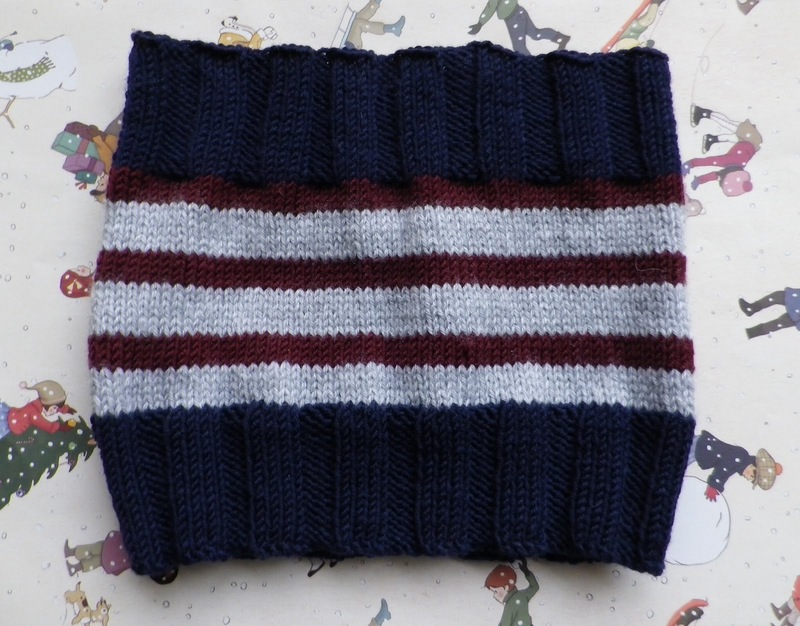 With some stretchy blocking they happily fit two nine year olds, not just the toddler mentioned in the pattern. Hope your Auntie knits are keeping you snug this winter, Reuben and Casper! And causing great excitement yesterday was the loss of Patch's first tooth. Swallowed along with his brioche. 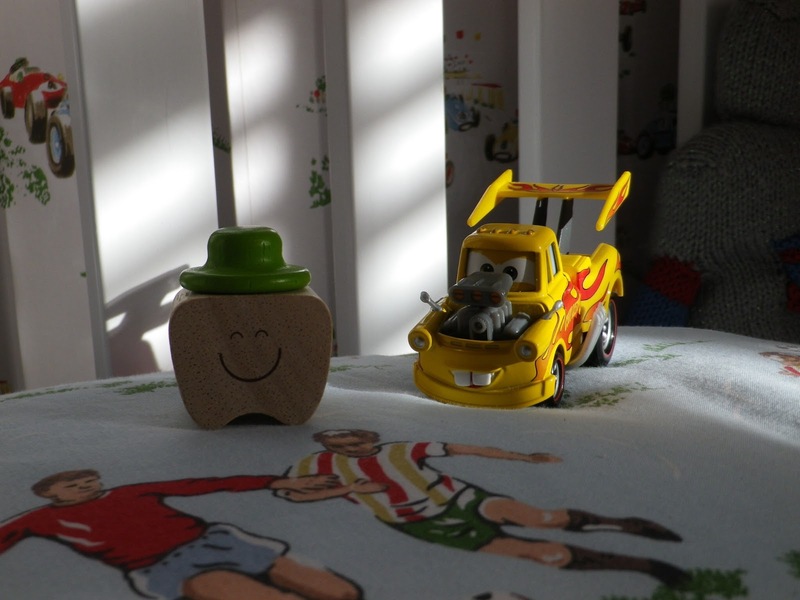 Patch was a little concerned about lack of tooth so wrote a covering note to place in the little pot for the tooth fairy, and we gave him Mater because until we get used to these adult teeth he reminds us just a little of his favourite tow truck... So thank you for the sweet pot Goodmums Linda and Ems - finally put to use! ... some of which may have been Christmas presents, but as it is almost the end of January it seems a little late to be mentioning festive makes. So winter knits they are! 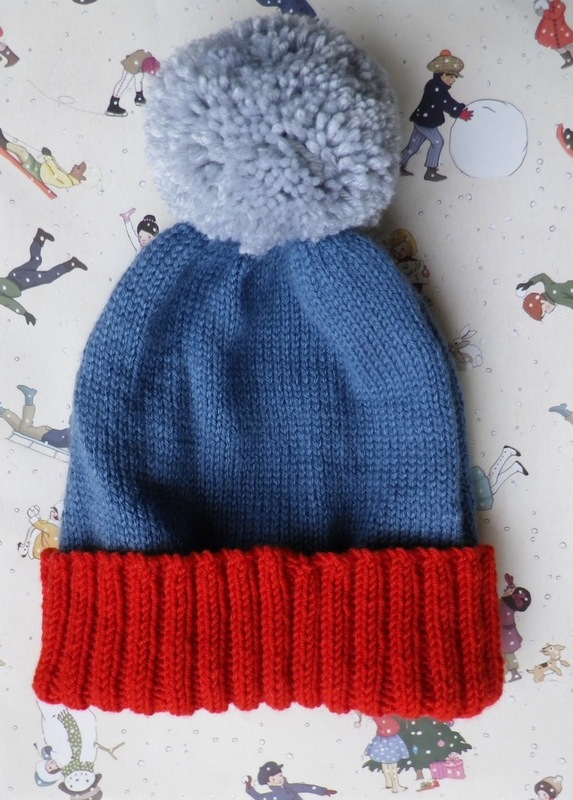 A lovely snug hat, which doesn't really help as I couldn't knit again as I know neither the pattern nor wool. Hopefully I shall remember more for the next make!